1. oldies. they just never get old, despite their name. mamas & the papas, diana ross & the supremes, sam the sham & the pharoahs, betty everett, the ronettes, etc. nothing gets me in a better mood. i blame give credit to my childhood listening to 98.7 KLUV. 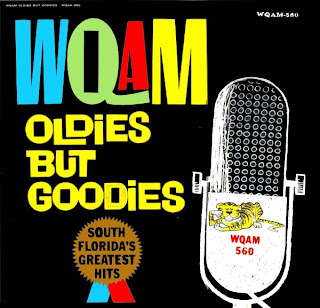 in the mood for some good oldies? type in day dream believer into pandora...just make sure you click the DOWN thumb when they try to play david archuleta's version of "sweet caroline." come ON, david. don't ruin a classic. 2. finding fun things you forgot about while packing. 3. chances to win free fabric! my awesome sponsor, melanie, at above all fabric is giving one lucky winner this awesome fat quarter stack. NO WAY! yes way. she is also offering yellow songbird readers a special coupon code! you can also use the code "JOY" for 15% off your purchase now through NEXT friday. Winner will be announced next Wednesday. how to do you win? TWO ways. 2. Tweet (or facebook status) this: " holy fabric giveaway! 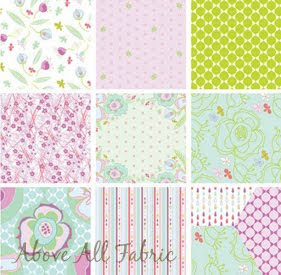 i hope i win the @aboveallfabric giveaway on @ohsweetjoy's blog! http://tiny.cc/4n3fi "
Oooh! How fun! Are you getting excited for your trip? i follow and i love that stack!! I am following yellow songbird via GFC. I am a follower of yellow songbird. Glad to be a follower! oh and yes i follow! I've recently found your blog and am a fellow Gunni-ite, too! :) Someone told me that you nanny for Little G and his siblings? i just got a sewing machine for my birthday and would love this to get me started on my sewing journey! and of course i am a follower! what's better than cute fabric?!? how fun! love a free fabric giveaway. I follow you! Thanks for the opportunity to get some beautiful fabric! I guess I have to say I'm a follower? Sweet! What a wonderful giveaway! I'm a follower. ohhh i LOVE the fabrics she is giving away, the colors are soo soft and pretty!! i tweeted about your giveaway! i hope i win too hehe!! Can one be in love with fabric? Because I am! This is gorgeous! I love free giveaways!!! I so enjoyed meeting you, Kim. I wear me earrings everyday and I get non-stop comments on them! oh, I am a follower and your link is now my status on Facebook! what pretty fabrics!! i would love to make something pretty with them. hope you're getting pumped for your trip!! i bought stuff from you in lake city! 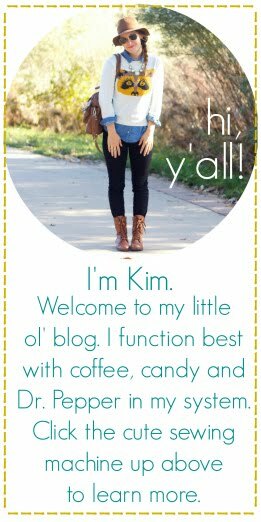 didn't know about your blog, but thanks to Brooke, I do now! I'm a follower! I wanna win the giveaway!